It looks like Truman Capote’s Breakfast at Tiffany’s is getting the Broadway treatment. It was just announced that the iconic novel is being adapted to the stage by Tony Award-winning playwright Richard Greenberg. We can’t wait to see Emilia Clarke from Game of Thrones work the stage (and the LBD) as Holly Golightly, Capote’s heroine. It’s going to be hard to fill Audrey Hepburn’s shoes, but we think she will nail it! But that’s not all the exciting news; Target is also getting in on the action to help recreate the timeless hair and makeup look. And they’re bringing along their exclusive beauty partners, Sonia Kashuk and Umberto, to showcase the retailer’s outstanding and affordable beauty stock. 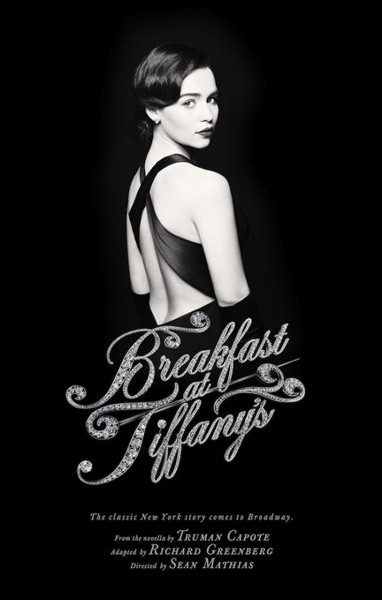 Are you excited to see Breakfast at Tiffany's on Broadway?